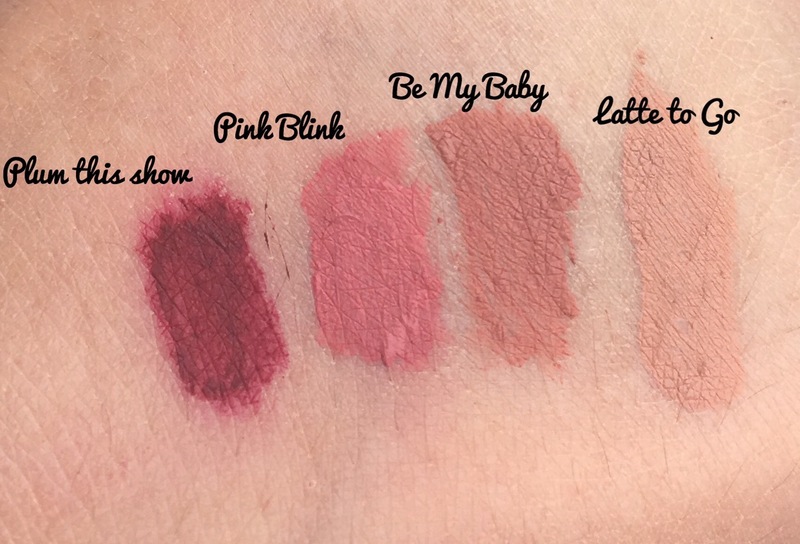 Review of Rimmel’s new Stay Matte Liquid Lipstick with swatches and end of day photo. Love it or hate it, you have to give it to liquid lipstick, it does stay on better than any other sort of lipstick. I’ve tried a few, but by no means all- Stila Stay all Day, Nyx Soft Lip Cream, Nyx Lip Lingerie, Collection Lip Velvet. 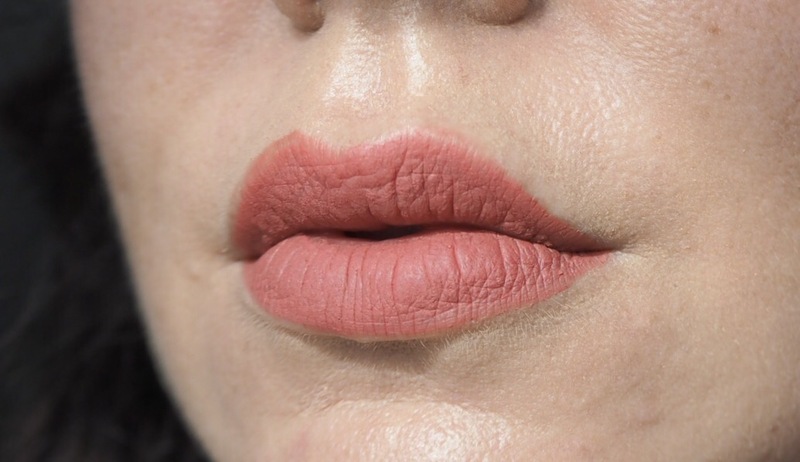 The problem with a liquid lipstick is that they can feel uncomfortable and when you eat anything it either wears off in a nasty looking circle in the middle or comes off completely. I’ve finally found a liquid lipstick that does not budge- Rimmel Stay Matte Liquid Lipstick. Sweet!!! And it’s not expensive or difficult to get hold of. I’m genuinely chuffed. 5.5mls is about average for a liquid lipstick, and at the moment there’s a 3for2 offer on. So that’s pretty cheap, especially if you compare it to Stila and Kat Von D’s £16 offerings. There are 15 shades of Rimmel’s Stay Matte Liquid Lipstick- reds, plums, pinks and nudes are well covered as expected. There is also a grey, a black and a navy blue. I’ve recently been wondering if I can pull off navy lipstick, I might try the Rimmel’s Stay Matte one if it’s 3for2 and do an experiment (stay tuned for the post- “can a 37 year old mum of two wear blue lipstick”). 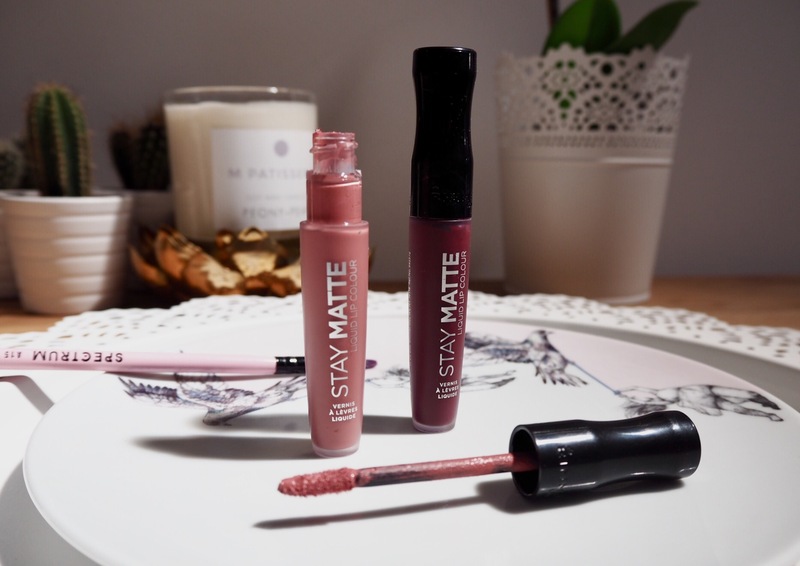 Rimmel Stay Matte Liquid Lipstick comes in your standard tube with doe foot applicator. The tube has a nice frosted appearance. The applicator is thinner than most and quite firm. I bought two shades- Pink Blink and Plum this Show. Pink Blink is a warm light pink and Plum this Show is a plum red. I need to stop buying plum lipstick, I’ve got 2 million of them. Pink Blink is much easier to apply, Plum this Show comes up a bit streaky. As with all liquid lipsticks, you need a steady hand to apply and lining with lip liner first will help. I just use the applicator and take my time. 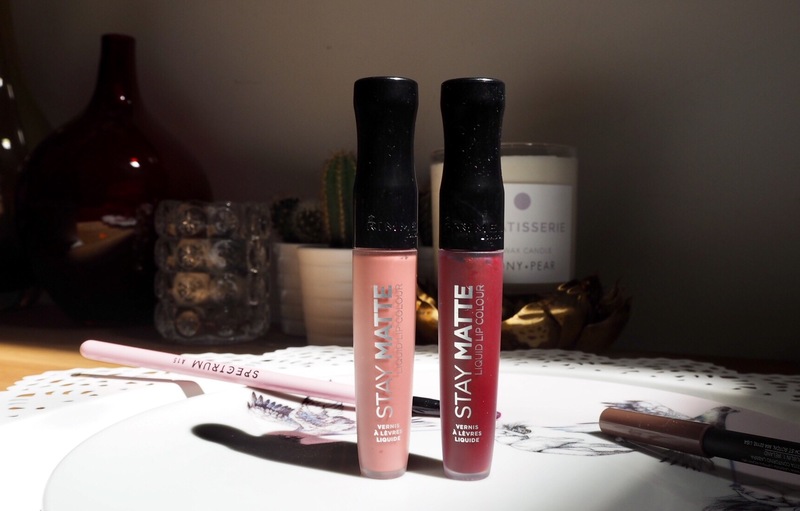 Rimmel Stay Matte Liquid Lipstick is fully opaque and you only need one coat. They dry quickly to a full matte finish. There’s no stickiness at all and they wear comfortably. If you’re familiar with liquid lipstick you’ll know all about how dry cracked they can make your lips look. Rimmel Stay Matte isn’t too bad in this regard. Some liquid lipsticks feel like they’re wearing me and I want to wipe them off as soon as they’ve dried. Stay Matte wears comfortably all day. And Rimmel Stay Matte lasts really really well. Once dried there is zero transfer. I ate some toast and a banana, it didn’t move, a cup of coffee, no probs! After a full meal you’re going to need to retouch. They take quite a bit of effort to remove, you need some oil and a wet wipe to get it gone. It’s fading a bit round the edges, yes, but from a short distance it looked absolutely fine. I’m really chuffed with Rimmel Stay Matte Liquid Lipstick. I’ve found my liquid lipstick and I’m going to buying more shades. It stays on really well, dried quickly and feels comfortable. This is awesome. I haven’t tried a lipstick that will really last and by seeing those photos makes me want to try one. Thanks for sharing!